3 routes are opened to everybody, with a license or not and will be timed a Chip. Starts and arrivals on cable car place in Chantemerle (Saint Chaffrey borough). he 152km Granfondo (3500m vertical height gain) starts in St Chaffrey (Place du Téléphérique) at 08:35. After passing through Briançon (start proper in Briançon), the first hard section is the short climb to the Col de l’Echelle via the Clarée valley. After the descent to Bardonecchia and Oulx, competitors head for Susa and the ascent of the fabulous Colle delle Finestre via Meana di Susa. The last eight kilometres are over unsurfaced road, but the track is due to be remodelled as it forms part of the Venaria Reale/Bardonecchia Jaffereau ‘queen stage’ of the Giro d’Italia to be held on the 25 May. Three refreshment areas are planned for the Finestre climb. They are in Meana di Susa, at Colletto (1452m, and the start of the unsurfaced section), and on the Colle delle Finestre before the descent to Balboutet via a superb tarmacked road. From Pourrieres (1410m) competitors take the SR23 up to the Colle del Sestriere (2035m). The descent to Cesana follows the SP215 via Sauze di Cesana and Bousson. 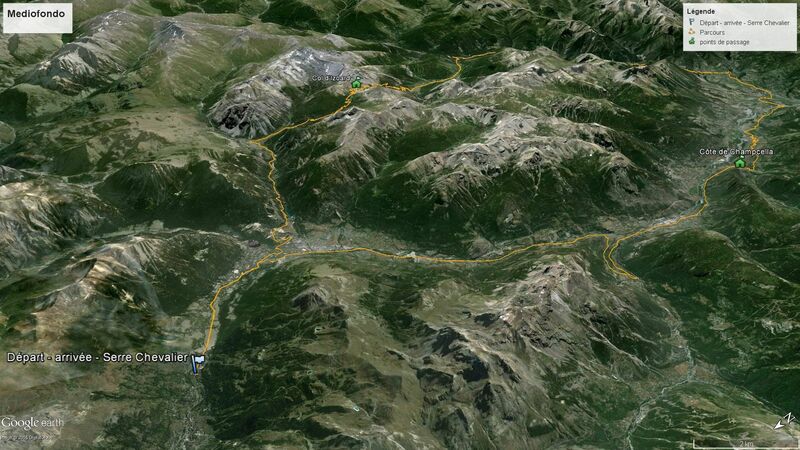 In Cesana Torinese (1354m) competitors take the SS24 and the climb up to the Montgenèvre pass. 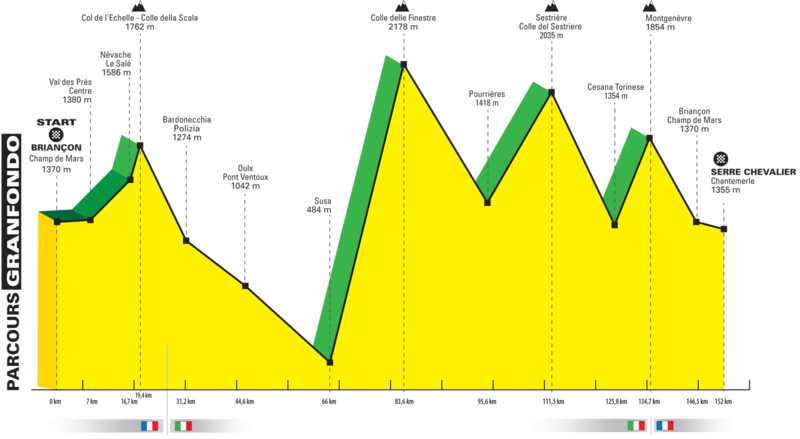 In addition to the three ‘Competitor refreshment’ zones planned for the Finestre section, two further areas will be provided including one in Sestriere. You choose your route during the race with all competitors starting from the same place in Chantemerle (Commune of St Chaffrey), at the same time (08:35). 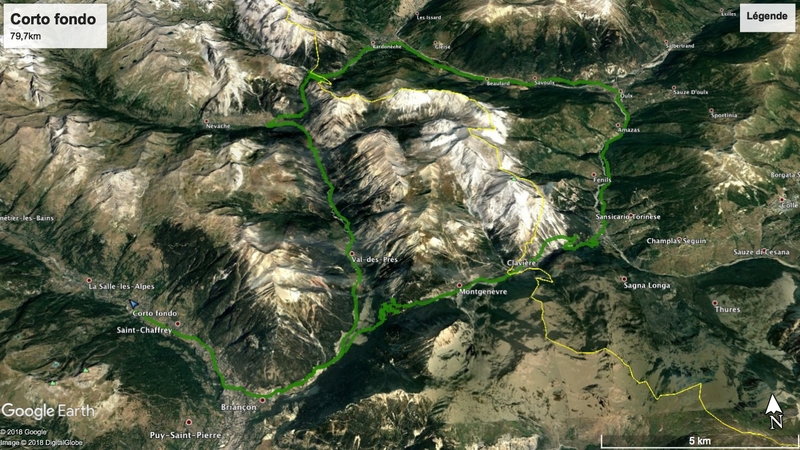 The routes diverge in Oulx and Cesana. Route B is open to the Junior age group (Born in 2000 & 2001). One hundred and four kilometres long, this route comprises three climbs: the Col de l’Echelle (1762m), the Colle del Sestriere (2035m) via the SR23 and Champlas du Col, descent along the SR215 via Bousson, and the climb to Montgenèvre from Cesana Torinese. 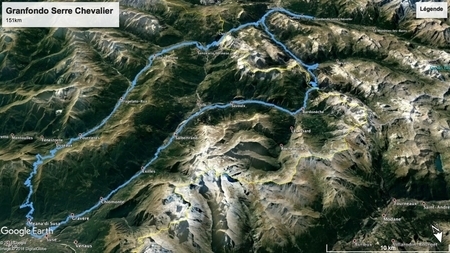 Route C with Montgenevre and Echelle passes. This route is open the Cadets age group (Born 2002 & 2003). 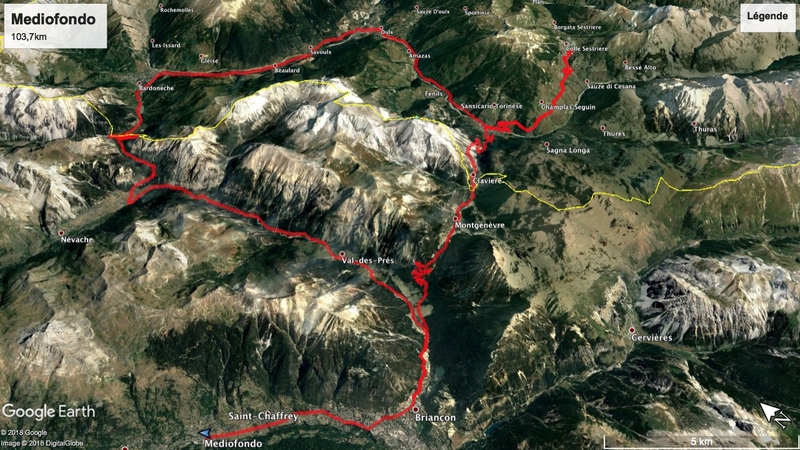 This 80km route features the ascents of the Echelle and Montgenèvre passes, the latter from the Italian side. It takes place on the Car-podium in start/arrival area.